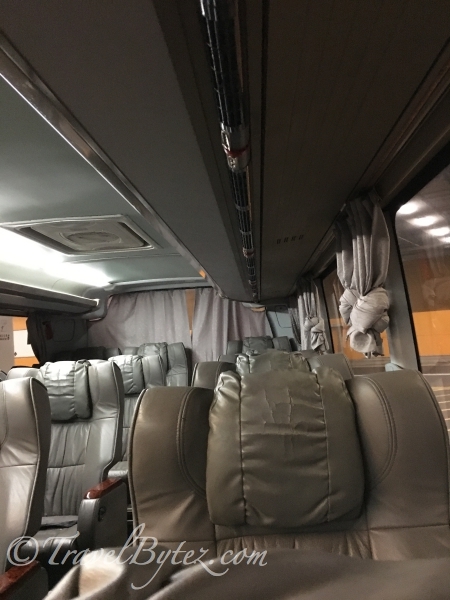 Since we were unsure whether Cc’a AirAsia flight would be delayed, we decided that it would be best to just get the tickets for the airport coach to our hotel, Dorsett Mongkok Hotel, upon arrival. 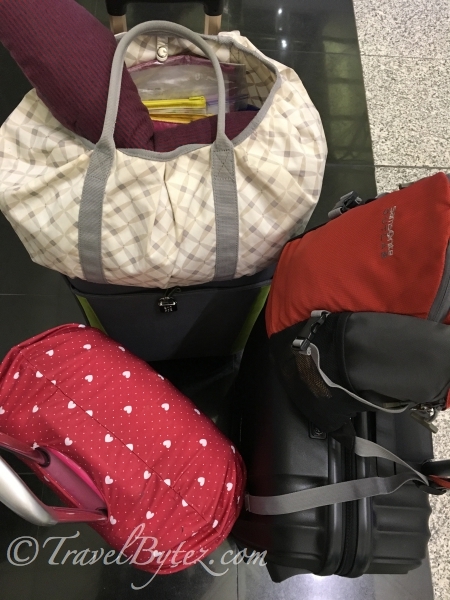 Although it would have been slightly cheaper (about S$4 lesser) if we purchased via Klook, we were unsure if we were able to get the tickets as the schedule posted on the official website stated that the last bus to Dorsett Mongkok Hotel was as 4:55pm; all our flights arrived after 5pm. 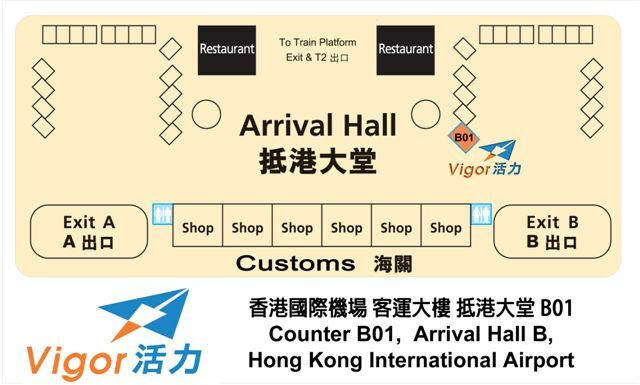 After getting our Octopus Cards, we made our way to the counter to purchase the tickets at Arrival Hall B, Counter B01. 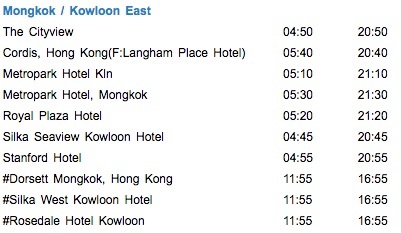 Thankfully the guy at the counter said that there was a departure at 7:15pm to Dorsett Mongkok Hotel for HK$140 (about S$24) per person. So purchase the ticket we did and since we had about 30 minutes or so to spare, we were brought to a waiting area near the bus departures where our luggage and persons were “tagged”. 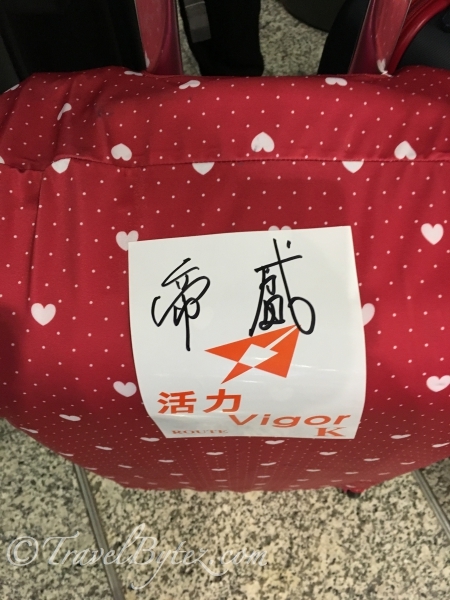 Luggage tagged with the Vigor Sticker and destination written on it. When it was time to go, we were directed to the entrance where the bus was already waiting for us; in total there were about 10 passengers on board. The bus seats which were a little worn but still quite clean and comfortable. 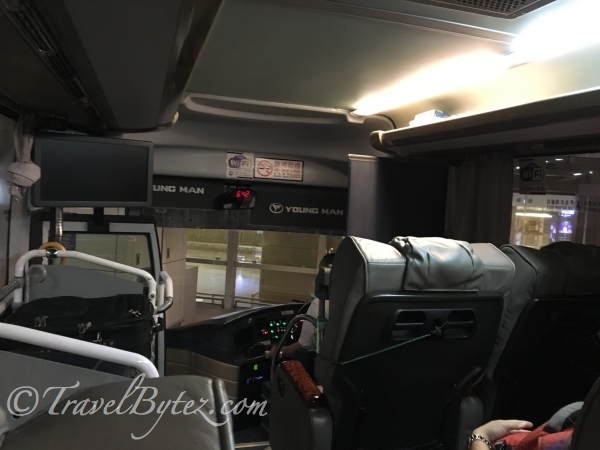 The bus was quite spacious for just the 10 of us (it was at least a 30 seater) and it took us less than 45 minutes to reach our destination, with just 2 stops before us to BP Hotel and Cordis, Hong Kong. 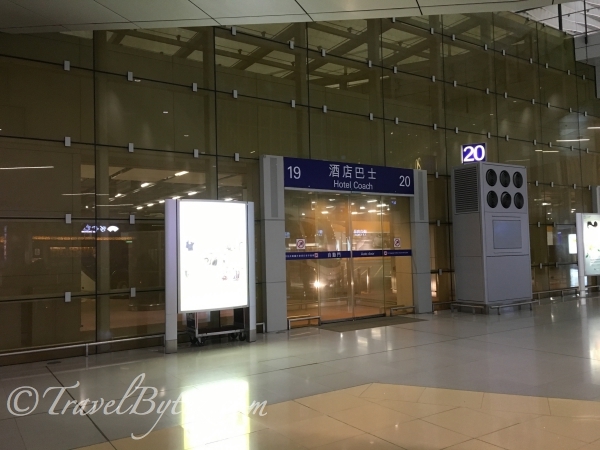 Tip 1: If you are looking for a discount, there is the option to purchase the tickets online from websites such as Changi Recommends (S$22 / HK$125) and Klook (S$20 / HK$114) have some discounts. If you are not yet a member at Klook, you can sign up here. Tip 2: If you want to see what other promo codes there are for Klook, you can go to Super Saver Mama. However, do note that not all the codes work and it is really all about timing, and trying each code to see if it works. Good luck!